We're going to use Mumble as our way of voice communication. 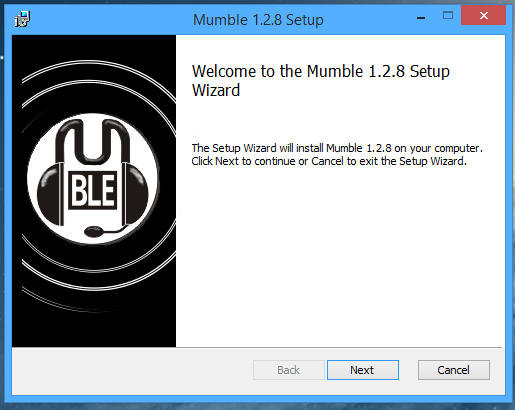 Installation of Mumble might be a bit confusing, so I'll list the steps you have to take here. 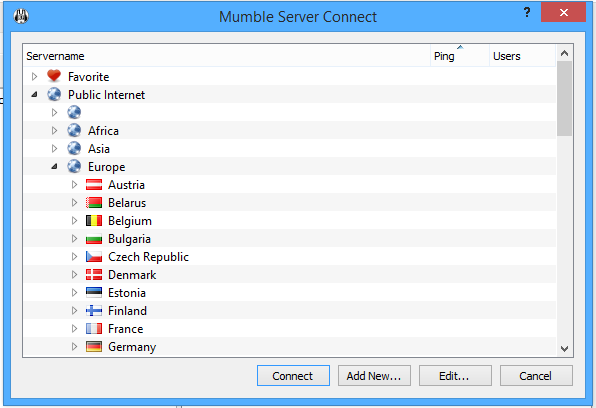 Download the latest Mumble from here. 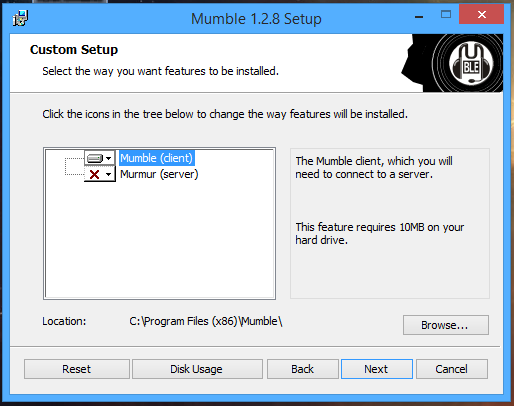 Once the installation is completed, check on 'Start Mumble', and finally on "Finish". Configure Mumble, just follow the steps on screen, adjust some sliders if needed. Here you can also set up Voice Activation or Push-to-talk. 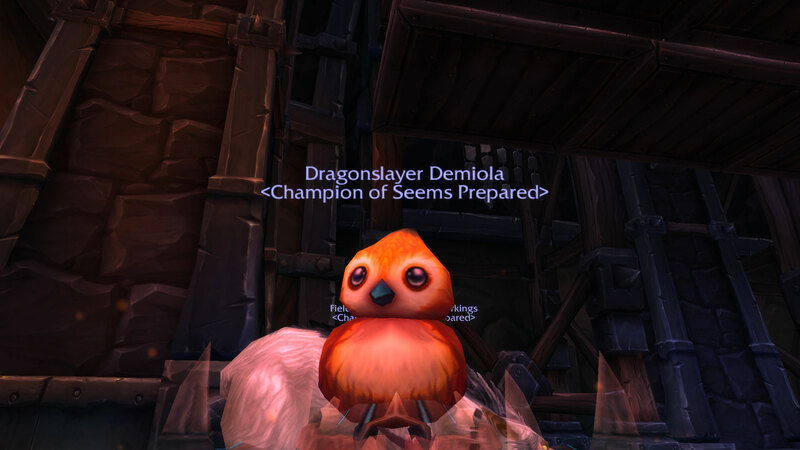 After the settings are saved, you'll get to see a list of servers. Click on "Add New..." at the bottom.